 Recent Articles about Predatory Radiology Pratices - ONRAD, Inc.
Over the past few months, a select few teleradiology companies have been on the offensive regarding radiology practices that are deemed predatory. While I agree with some of the content, it’s not always so black and white. Simply because a teleradiology practice takes on a full hospital contract, it doesn’t mean they stole the contract from a particular group. First of all, if a hospital is looking for a new provider, it’s usually for good reason. I say this because there are some hospitals simply looking to save money. What I have found is that most groups who “lose” a contract, lose it because they failed to listen to feedback from the administration. The groups are usually complacent about their contract and don’t partner with the hospital as they should. In this case, if the hospital shops around, it’s on the radiology group. NOW…when this group loses to another radiology group, traditional teleradiology or not, they will blame others and make noise about their contract being stolen. The point that I am trying to make is that the media and a few loud partners don’t always paint the true picture, rather they just make excuses and make accusations about a predatory group. In the case of ONRAD, we have come across numerous situations in which the incumbent group didn’t listen to the feedback from the administration. We are often asked to bid and try to become the new provider. If the change is a foregone conclusion, we are ok with moving forward. However, if the incumbent still has a chance, we always step aside and support the group. Some say this is a fine line, but it’s actually easy to determine. Being owned by radiologists, we completely understand this dynamic and know that should we ever cross that line, our reputation and integrity will be in question.